Add Hands-ON, Content Rich & FUN Science Programs to your Extended Day! Why Pow!Science? All our Instructors have or are working on degrees in Science & Education. Unlike our competitors who are just trained to follow a script, we've got the built in know-how to go further & deeper into the subject matter with your curious kids. Sit & Watch? No way! While demonstration is part of what we do, we are hands-down the most hands-ON Science Enrichment Provider around. Kids learn by doing. That is why we let them "do-the-doing" in each and every workshop we offer. Call 401-788-1024 for more information or to schedule a program! Our most popular After-School Program! Each week a trained Pow!Science! Instructor shows up with all of the materials needed to perform 3 to 4 Hands ON Experiments! Topics include Chemistry, Physics, Engineering, Electricity, Earth Science, Life Science & More! Young Chemists will love this Hands-ON Chem Lab Workshop. We'll focus on the science of atoms, molecules & polymers while developing basic laboratory skills. Messes may happen (but we clean them up)! Participants use and keep the fantastic 'Diving into Slime' Chemistry Kit from Rhode Island's own Young Scientists Club. Your Pow!Science! Instructor take Young Scientists on a wild ride while blasting off with erupting volcanoes. 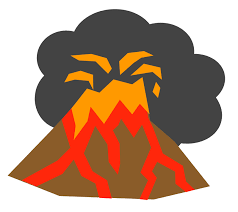 Young Scientists learn about the layers of the Earth, study tectonic plate movement, explore different volcanic shapes and eruptions, make real pumice float, create and test the ultimate "lava" mixture, paint and explode a volcano, and much, much more! This explosive kit includes a colorful poster with volcanic facts, pictures, and stickers. Seatbelts, everyone! Get ready to Blast off with Exploding Volcanoes! Discover force & motion and learn about mechanical physics & engineering by building simple machines such as levers, gears, pulleys and load lifters! Crash cars to learn about Momentum! Launch a hand-built Catapult across the room! Learn how Physicists crunch the numbers to figure out speed & more! Students Build Motorized Vehicles, Simple Machines and Contraptions from genuine LEGO parts and then put them to the test with carefully designed experiments in basic Physics and Classical Mechanics. Each custom designed experiment has qualitative and quantitative analysis, so your math-ready kids will be able to sink their teeth into the numbers while your student who aren't as excited about mathematics will describe their observations using stress-free science terminology. Build, Test, Play & Learn with Lego Mechanix! Sorry, but students do not get to keep the legos. Participants build & keep a functioning Robot piece by piece, from the inside out. Kits selected to not require soldering or knowledge of electronics. 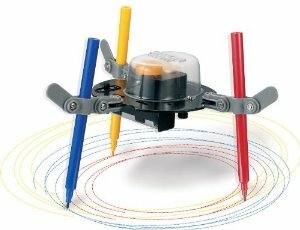 Each robot can be assembled using a screwdriver and pliers, provided by Pow!Science! Batteries are also included. In addition to building, we also spend time learning about the history and future of robotics & performing other mind-challenging hands-on engineering tasks! Contact us any time to discuss your program.